Today is launch day for THE FAMILY TREE! Some secrets were meant to remain... buried! 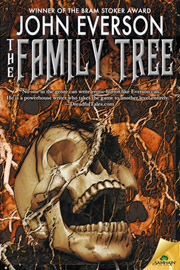 Download THE FAMILY TREE today! The wind it blows, the wind it blows the door closed." - Kate Bush "King of the Mountain"
Download The Family Tree from Amazon! 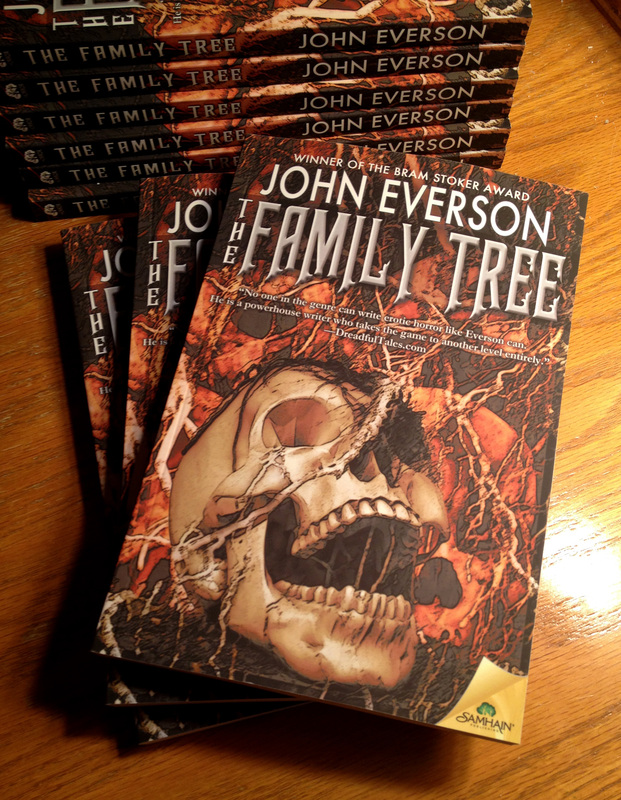 TODAY IS THE OFFICIAL RELEASE DAY for The Family Tree! It's Tuesday, October 7th... and that means my eight h novel is now available at Amazon, Barnes & Noble, Kobo, Samhain and all the other usual outlets. I know a bunch of you on the list have already pre-ordered the book, and I really appreciate it! I can't wait to hear what everyone thinks of the new story. SOOO.... LET'S HAVE A RELEASE CONTEST! THE DEAL: I'll even offer an incentive for acting today. Anyone who sends me a receipt from Amazon showing that they've ordered a copy of the book today (or pre-ordered it prior to today - you guys were out in front! ), will be entered into a drawing to win a signed copy of your choice of one of my other (dead tree) books. Covenant, Sacrifice, The 13th, Siren, The Pumpkin Man, NightWhere, Violet Eyes, Needles & Sins, Vigilantes of Love, Cage of Bones. Name it, and it's yours, if your name is pulled from The Great Pumpkin. THE CATCH: To enter, you have to grab yourself a copy of The Family Tree today from Amazon. And then email me your entry to john@johneverson.com. Pretty easy, really. Contest or no, I do hope you'll check this one out... and hope you'll enjoy the story! Its roots are old...and twisted!